Juneau is the gateway to the Alaska experience. Downtown Juneau is the historic district and stills retains the appearance and ambiance of a frontier town. You can spend the day experiencing the encroaching wilderness and by night be appreciating the amenties of a capital city. Juneau is a perfect base. To the west lies Glacier Bay, a 45 minute plane ride, or now serviced by the Alaska Marine Highway. To the north is the Juneau Icefield that generates over 30 glaciers. To the south is Tracy Arm, perhaps the most magnificent site in Alaska. And just across the channel is Admiralty Island National Monument, otherwise known as Kootsnoowoo "fortress of the bears." 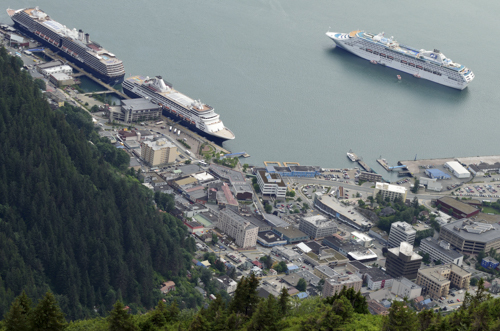 Juneau is a major cruiseship port in the summer but is a great winter destination as well. One the best kept secrets is Eaglecrest Ski Area. Its a 20 minute drive from downtown and features three lifts, an 1800ft drop, and no lines! 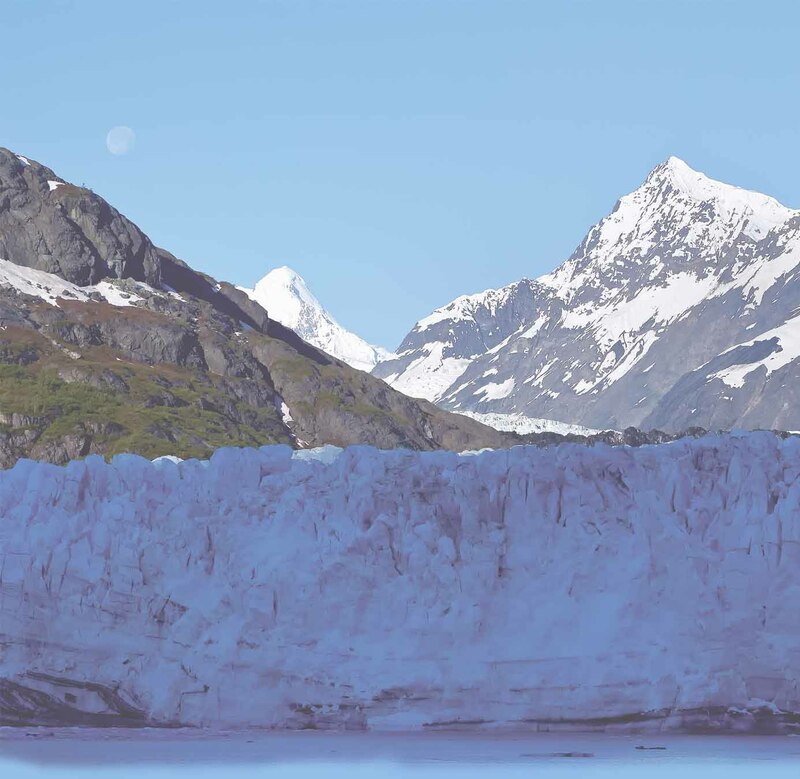 Top activities in Juneau all include the incredible Juneau Icefield. The word "incredible" is not truly defined until you stand on ice a mile thick while staring up at mountains rising a mile above you. Whale watching at Auke Bay is popular as is hiking on Juneau's extensive trail system. There are more trial miles than road miles in Juneau. Juneau has a vibrant arts community that is highlighted by many events that are scheduled throughout the summer. Try to plan your trip around them and you may create a special memory. When booking a room, be sure to book downtown if you don't have a car. Most of the sights are downtown as well as the restaurants and hotels. Being downtown allows you to walk to everything you want to see. Another Juneau highlight is the Mount Roberts Tram. It takes you above the treeline for a great ride. At the top you can hike trails, visit a nature center, eat at a restaurant (no view), or shop. Early in the summer the snow covers most of the trails so you can't go too far. Juneau has more miles of trails than roads. Some leave from downtown.Check out the possibilities at Trail Mix.